We are creating a door with a pet access hatch, a little window and some door handles. 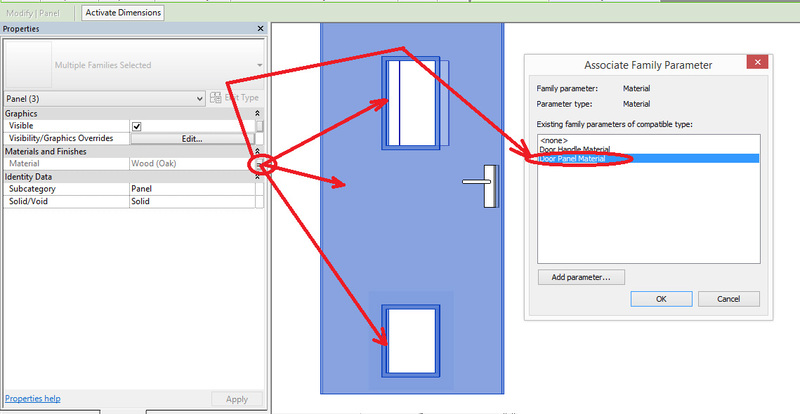 This allows us to assign the components we create in this family to the sub-categories of the door family. thickness must be defined from the edge of the door that is to be hosted to the hinge point). depth, height and width respectively). All the parameters are Type parameters. 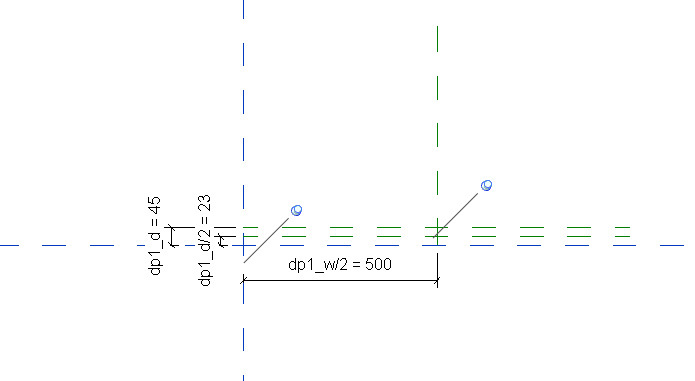 Notice that the main reference planes are locked, so the other reference planes will flex with reference to them. Work in the Front Elevation View. 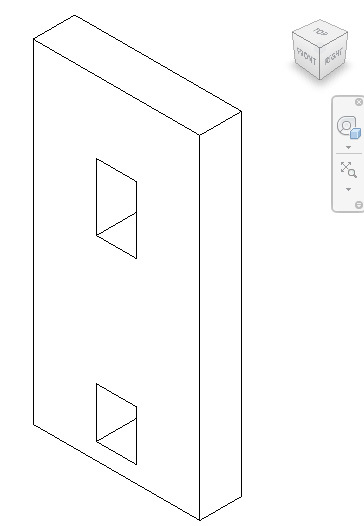 Set the workplane to < Center (Front/Back)> and create the following extrusion. Accept the default properties for the extrusion. 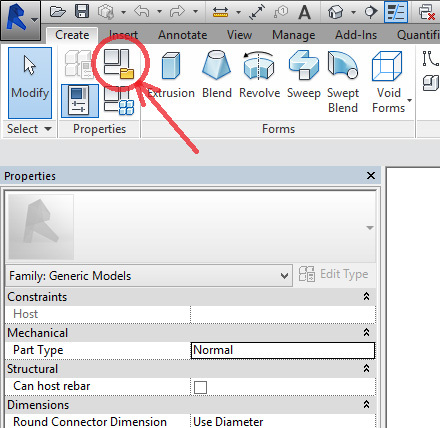 View the extrusion in the <Ref. 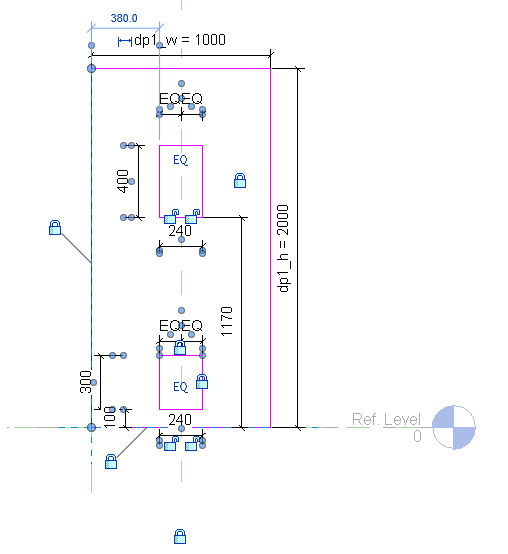 Level> Floor Plan. 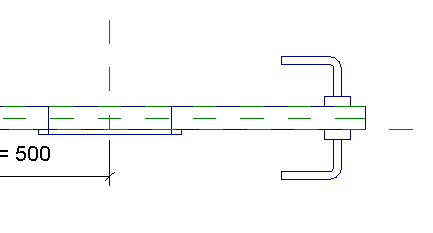 Align and lock the extrusion end to the dp1_d reference plane. 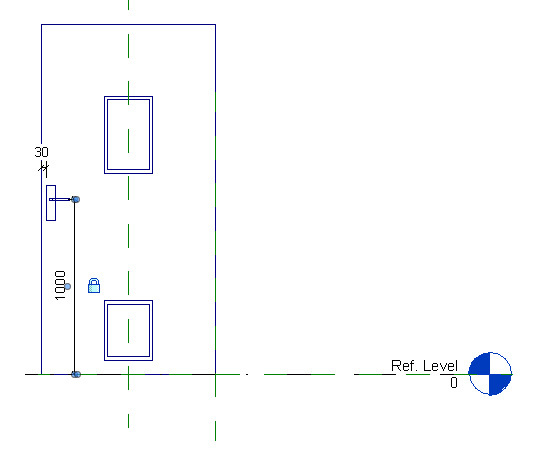 The depth, length and width of the door panel now flexes with the parameter values. 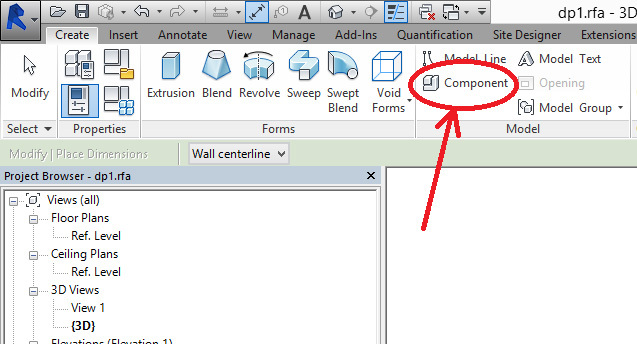 Select the extrusion again and assign the correct sub-category to it. 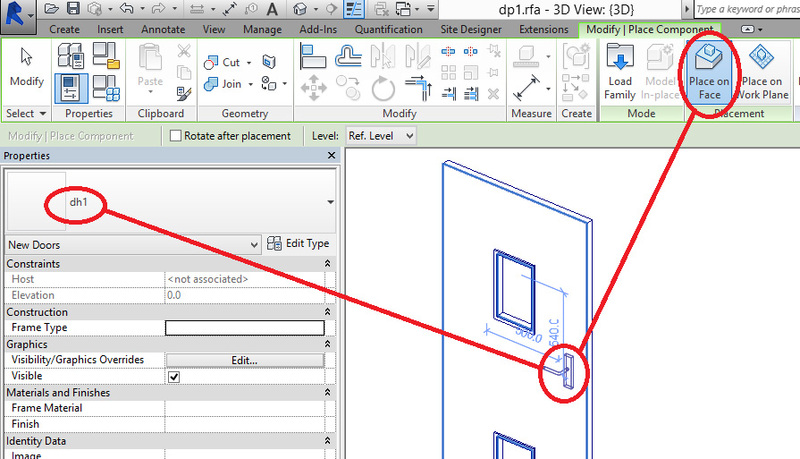 View the handle in the front view and create locked dimensions to constrain it to the face of the door panel. 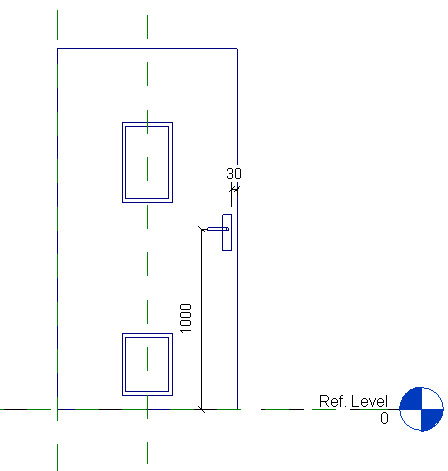 Work in the <Ref Level> Floor Plan and mirror the handle to the other side. Work from the Back Elevation and once again constrain the handle using locked dimensions. It is left to the reader to create the appropriate detail on the door and to assign the correct sub-categories to it. I added frames to the front face of the door (which, when inserted into the door family, will denote the interior face of the door) around the openings and a pane of glass in the top opening. Flex the door panel to test it. Define type material property parameters for the Door Handle as well as the Door Panel. Assimilate the Door Handle Family material type parameter with the Door Panel Family material parameter created for the door handle. 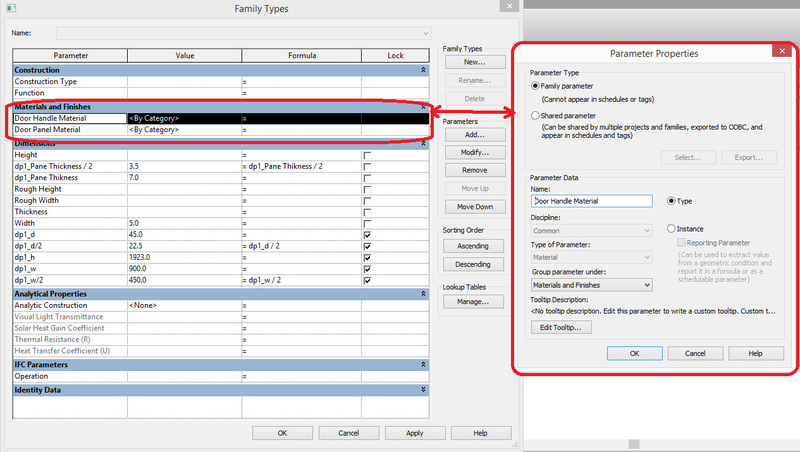 Select the nested Handle and <Edit Type>, then assimilate the appropriate parameters. 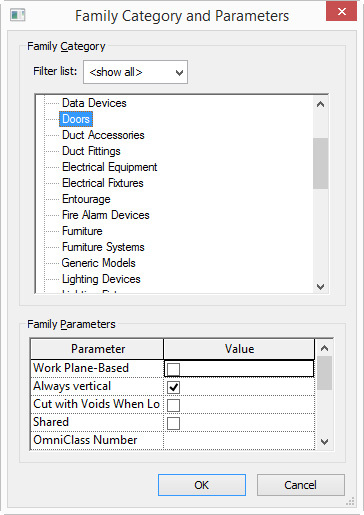 Select the door panel components and <Edit Type>. 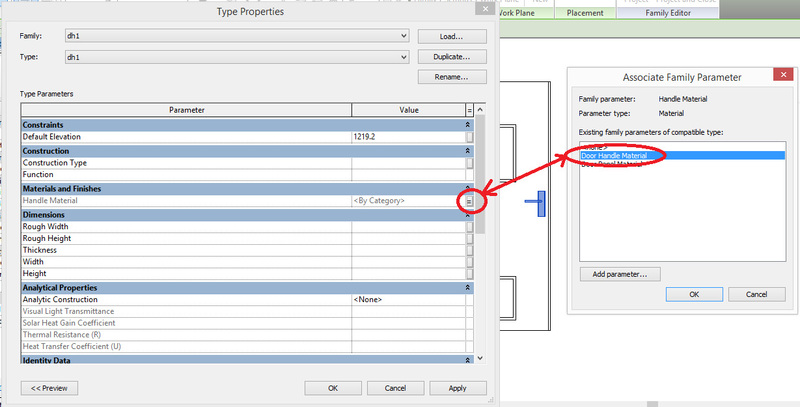 Assimilate the Door Panel Material parameters to the Door Material Parameters.